from Farm & Fork Society farmers! Class recipes will be determined by what seasonal produce the farmers deliver on Wednesday, Sept 13. Seasonal produce in September may include but not limited to- eggplant, onions, squash, kale, peppers. Cancellation Fee- $25 cancellation fee 2 days prior to class date or less. Pam Riensenberg created Home Appetit to teach and emphasize delicious, healthy, quick, family-friendly home cooking. Cooking classes are taught in Pam's kitchen in Millburn as well as teaching larger group and private individual classes outside her kitchen. 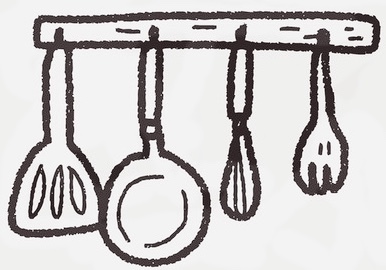 In addition to recipes, you will learn simple, time-saving cooking techniques and skills as well as sources to buy ingredients, supplies, kitchen equipment. No prior cooking experience is required. The classes welcome lots of questions and discussion. Most classes run 2 hours with a max of 8 in a class. To learn more about Pam and Home Appetit visit her website.